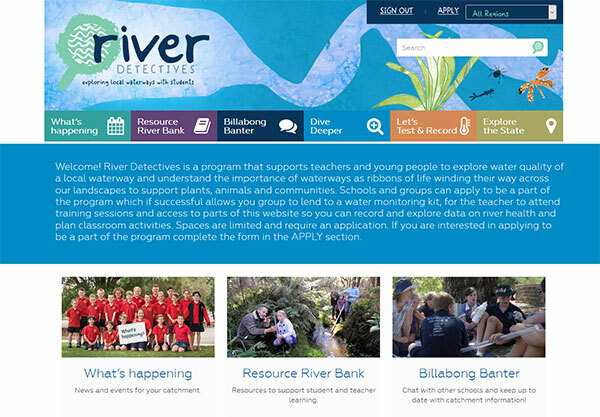 River Detectives is a program offered in some regions across Victoria to support educators to explore local waterways and catchments with students. River Detectives includes hands on activities and supporting resources. CeRDI upgraded the River Detectives website to integrate with the Waterwatch database and interactive maps. In collaboration with the North Central Catchment Management Authority (CMA), CeRDI completed significant upgrades to the River Detectives website. River Detectives is a school-based program supporting teachers and school students to explore local waterways and to understand their important relationships to the surrounding landscape and environment. 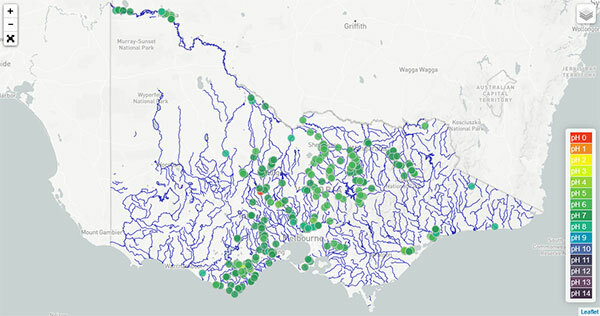 A unique feature of River Detectives is its water monitoring program whereby school groups can arrange to collect and analyse water science data. The website enables school groups to submit their data, the same data as Waterwatch volunteers, through the child/student friendly River Detectives website. Expansion to multiple CMA regions (originally the website was developed for the North Central CMA only). The new website coincided with the commencement of the 2017 school year.